I used to find myself drawn towards the ocean and her charms. The crackling of waves. The distant chatter of fishermen. And the frothing of her tides. The ocean often had me entranced. I was fascinated with aquatic life-forms back then. It thrilled me to find them near ocean-beds. But most were dead by the time I stumbled upon them. Yet I have caught myself staring their corpses, feeling exhilarated about life. 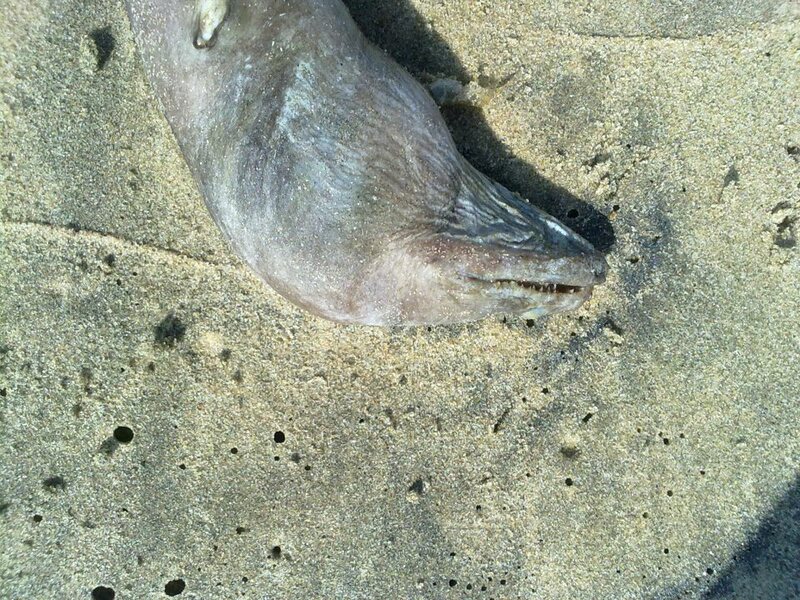 Especially the one time I saw the carcass of a Moray Eel. She seemed so peaceful; lifeless yet so full of possibilities. She seemed to have chunks of flesh bitten off her sides. It was clear that she had been in battles, and lived long enough to tell her tale. She was rotting. The stench of decaying flesh was in the air too. I assure you though, she looked beautiful. Perhaps it is why most pop culture icons have had symmetrical faces. Ugliness though is easily recognizable. And it doesn’t exist in a physical form. 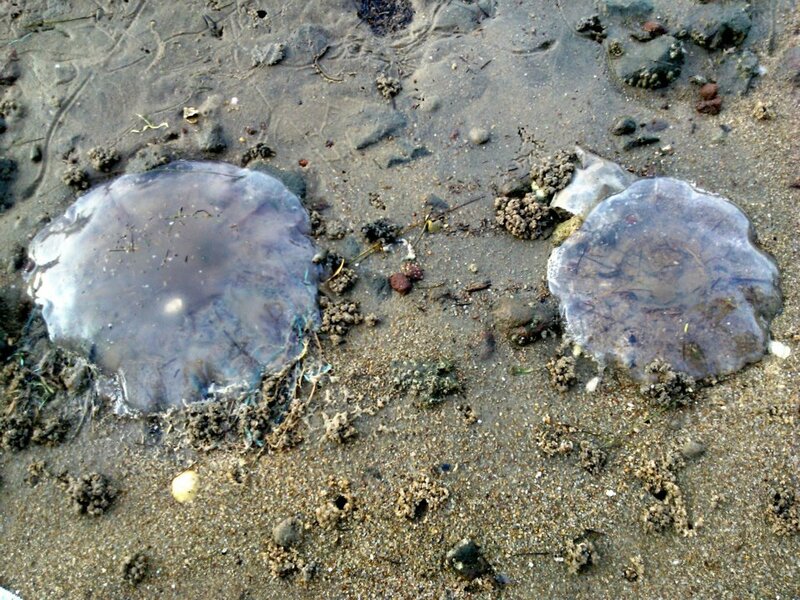 I once saw a pair of Jellyfishes washed up ashore. They took my breath away because I hadn’t seen one before. The way the morning light poeticized their lifeless translucent bodies. The gentle trickling of waves – a seminal soundtrack for the occasion. Unfortunately there were bits and pieces of plastic and netted material strewn all over. Proof that those jellyfishes had no business dying that day. A sad reminder that ugliness is after all a matter of the soul. I love this. Escape from everything. Now the important question – what is it? A crab? Beautiful poem, I love the flow of it. d’aww very kind you are, comrade. 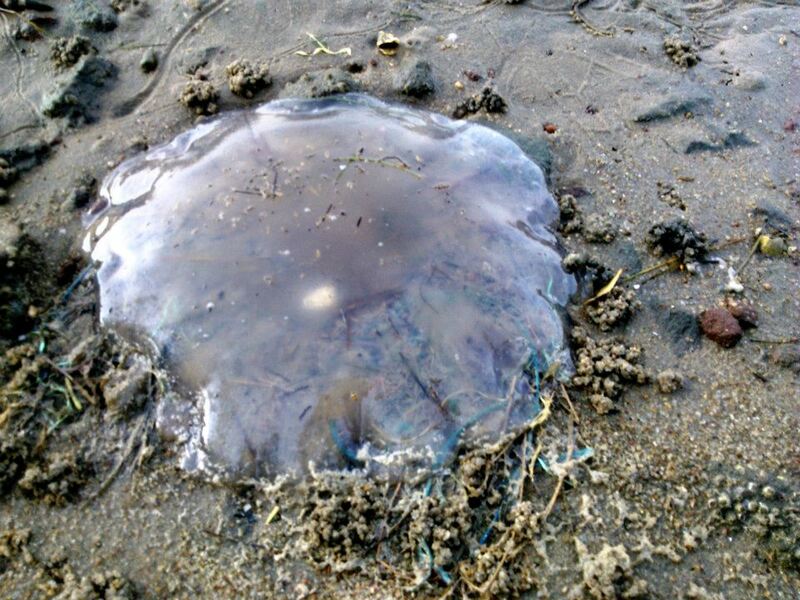 i haven’t seen jellyfish in about 4 years, they barely are seen in the beaches my city is privy to. i wish you many more jellyfish sightings and peaches too because everyone likes a good peach, right? OMG.. wow plus i am a little fearful about holding them! I love the little crab! And the poem. Of course! In my wife’s hometown on the Dutch channel coast, when the wind is blowing out to sea the beach is covered with these living, translucent, and mildly disgusting miracles of the Big Sneeze. A long, beach-blanketing carpet of these cloudy blue primitives is a sight to see. What is this lurching, wiggly world? And do the sponges and jellyfish taunt each other on lazy, sunstruck afternoons down there? Everything is as crazy as it seems, that’s what I believe. Thanks for celebrating the gentle madness, Christy. Your austere, grinning work pays subtle tribute to the ‘ordinary’ days we are wading through, hands joined. And so on! Quite, Christy. Another casual hymn to This. I like your craft. Keep spreading the word. There is no ‘ordinary’. You’re one of the people who not only sees through the killing veil of ‘normalcy’ but sings of it melodiously. I see you have many listeners. Maybe there’s hope (he said for the umpteenth time). If so, it’s through these sots of networks. Keep singing, buddy. There’s always hope. comrade, especially so when the goal is to live, laugh, learn and love through language. WordPress is certainly a great platform to share them with like-minded wanderers and wistful dreamers alike. For someone like me to hear such words – as you have so beautifully put it – about my own, it feels like a privilege and a real pleasure. Into the light, we must tread, not lightly but with stomping boots. Stunning photographs, and a poem that drives the point home. 🙂 Parts of the post were truly enlightening, and it feels good to be back, reading up on your thoughts. You’re right, ugliness is a matter of the soul. When and why did you stop being interested in the ocean? I think the devastation brought forth by the tsunami in 2004 had something to do with it. The ocean, her parts over here at least, just hasn’t felt the same!